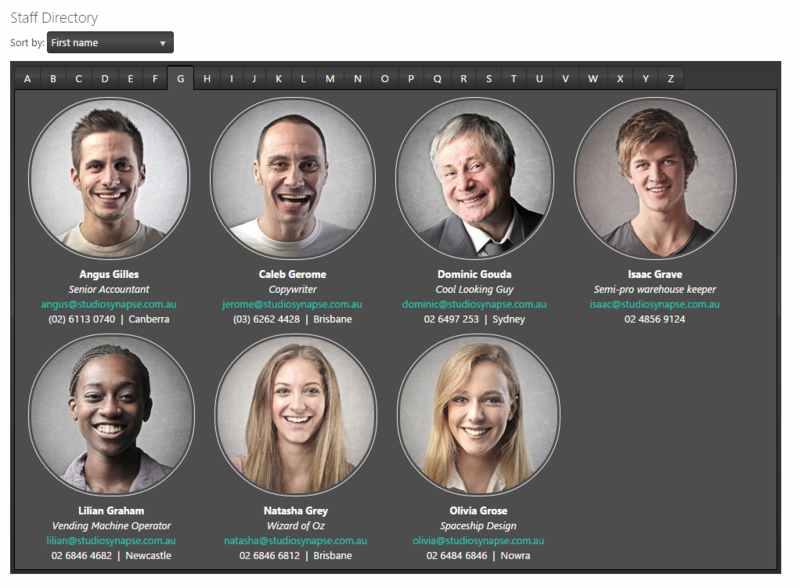 SharePoint Staff Directory web part displays information about users in your organization in visually pleasing manner. 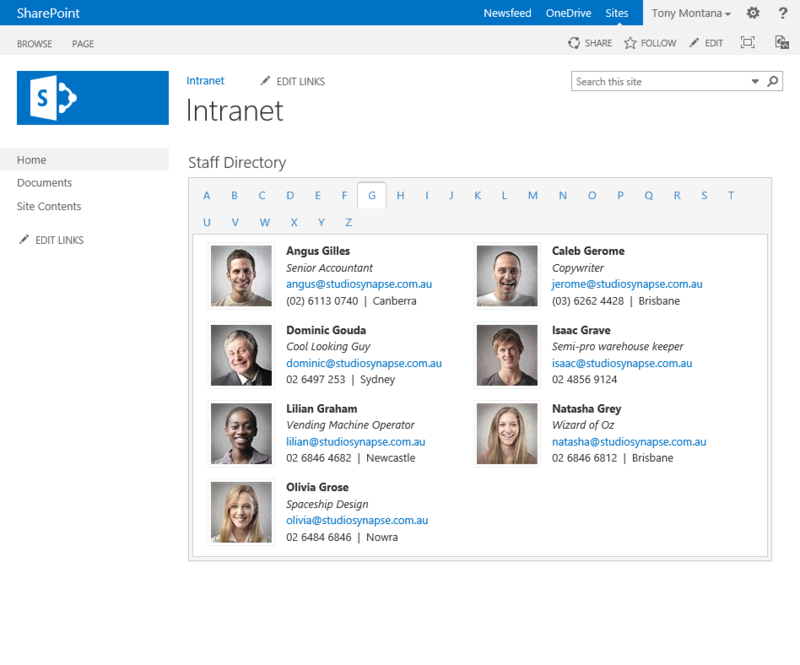 Please note that a new SharePoint User Directory app is available now which replaces Staff Directory. 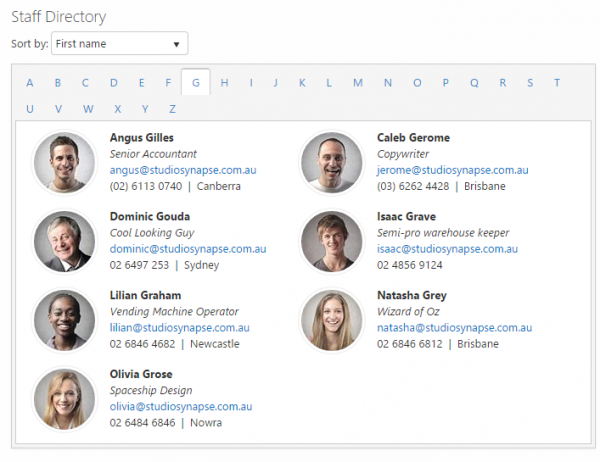 You can find more information on User Directory product page. After activation the web part is available under SYNAPSE group in a Web Part picker pane. A web part colour theme. The following options are available: Orange, BlueOpal, Bootstrap, Silver, Uniform, Metro, Black, MetroBlack, HighContrast, Moonlight, Flat. This property tells SharePoint which Search Managed Properties should be loaded. 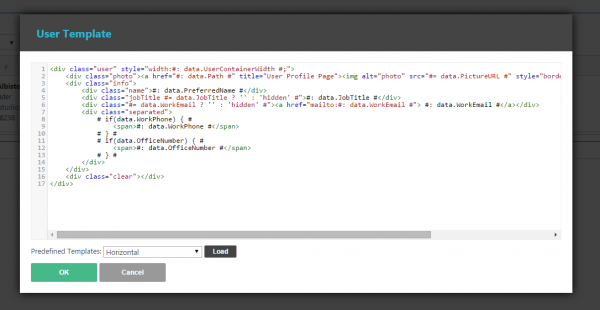 These properties can be then used in the user template.